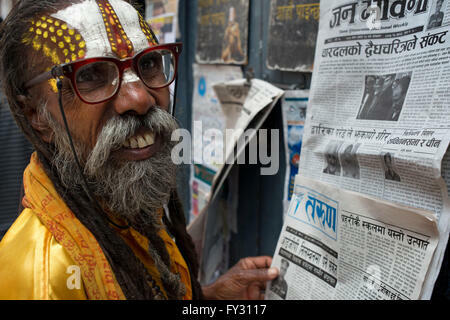 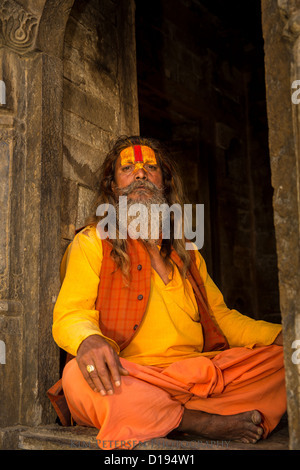 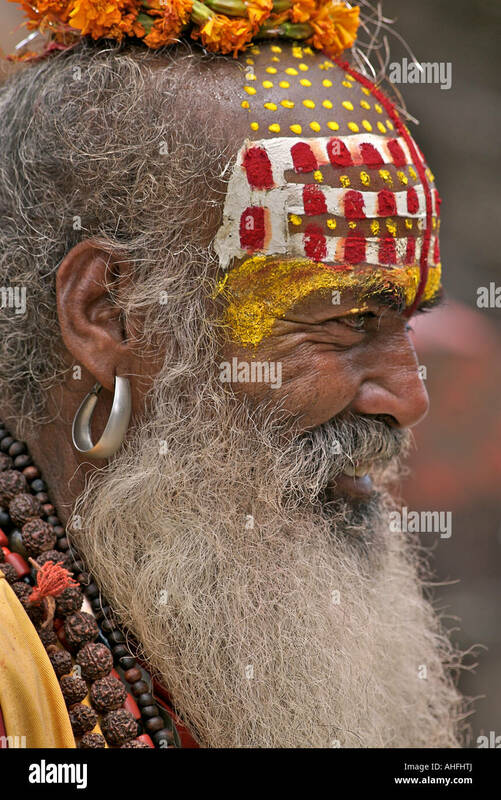 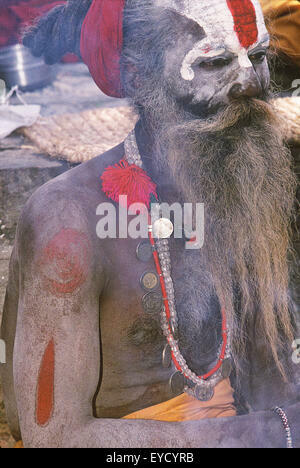 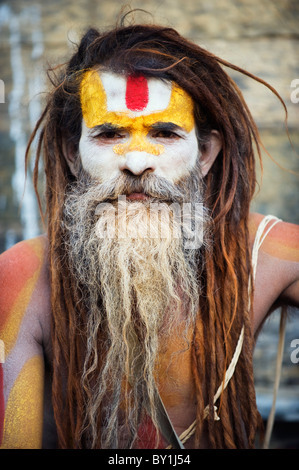 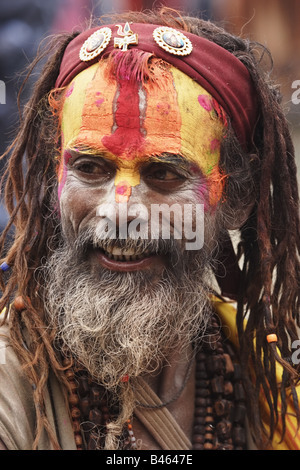 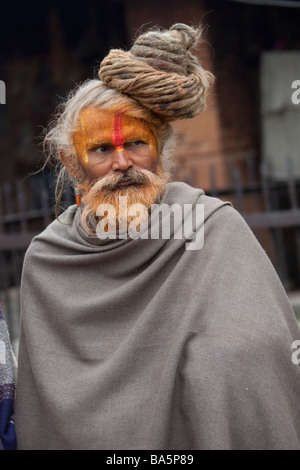 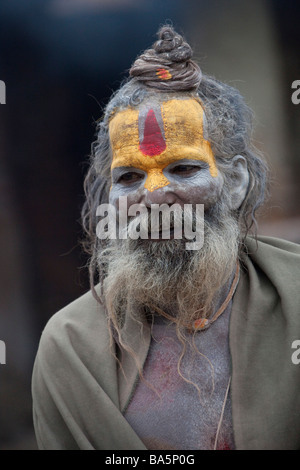 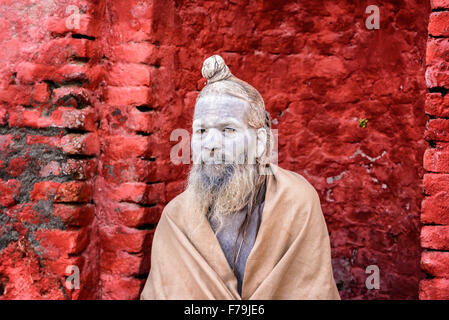 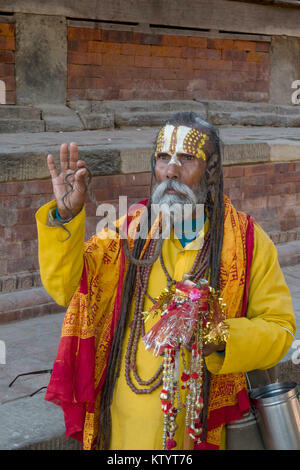 Holy man or sadhus at Pashupatinath Kathmandu Nepal. 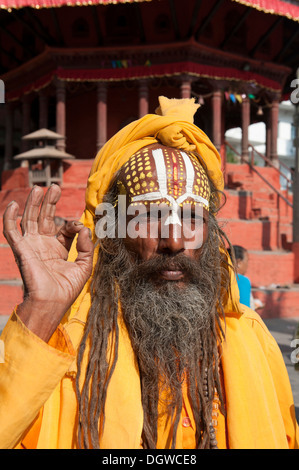 The mans face is painted red and white he has a headdress and is making a gesture with his hand. 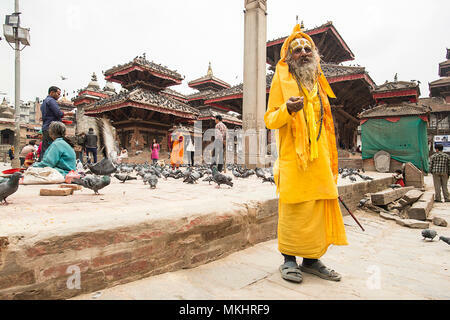 KATHMANDU - NEPAL 08 APRIL 2018. 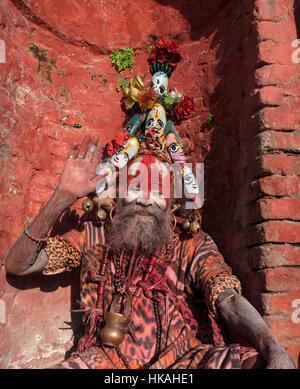 Sadhu in colourful clothes and painted face standing on Durbar Square asking for alms in Kathmandu, Nepal.